I have worn just one Madurai Sungudi before this and at that time I didn’t know how it was made … those tiny circles. How did they come about ? Was it tie and dye or some other process ? 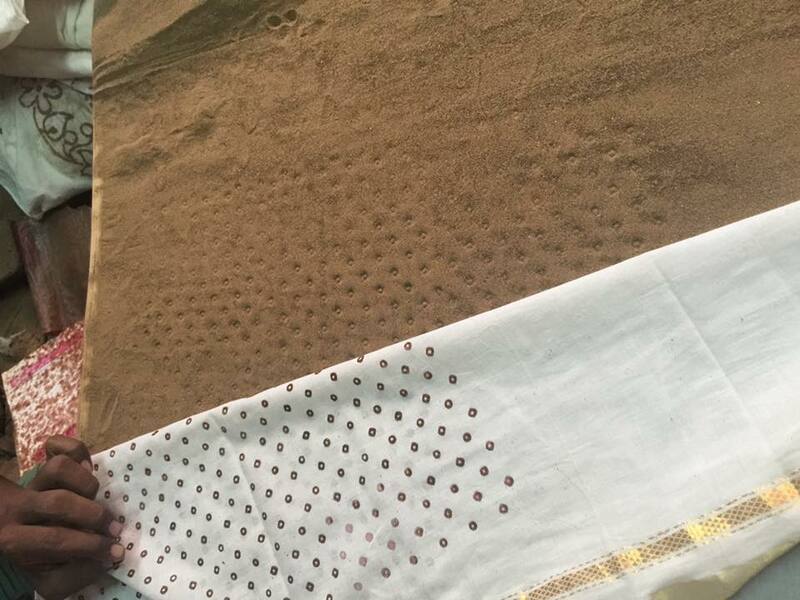 Then the W3 group posted a whole bunch of information about the process of getting these tiny circles on a sari. Reproducing Sreemathy Mohan’s post from Facebook. Day 3. Sungudi resist printing and dyeing process. Another fabulous day and a session to see how the resist printing process and dyeing are done inSungudi currently! We visited the printing and dyeing center to see how they use wax as a resist dyeing medium, how they use Napthol dyes as cold water dyes for natural fibres like cotton! 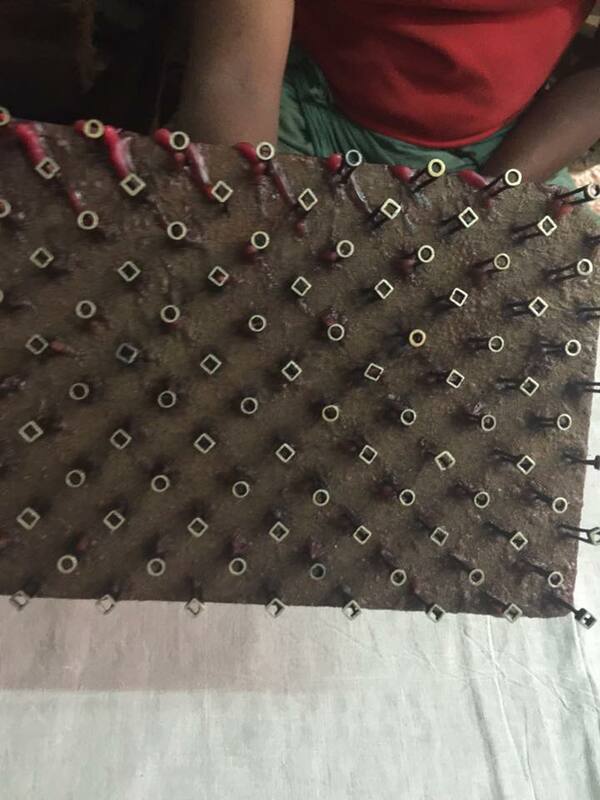 The techniques involved are labour intensive, and so you know why you shell out 2k for a handloom Sungudi! What an eye opener it was, and million thanks to Cooptex team! Every time I wear this sari, I appreciate it even more because someone has worked hard on it and it really is a work of art. 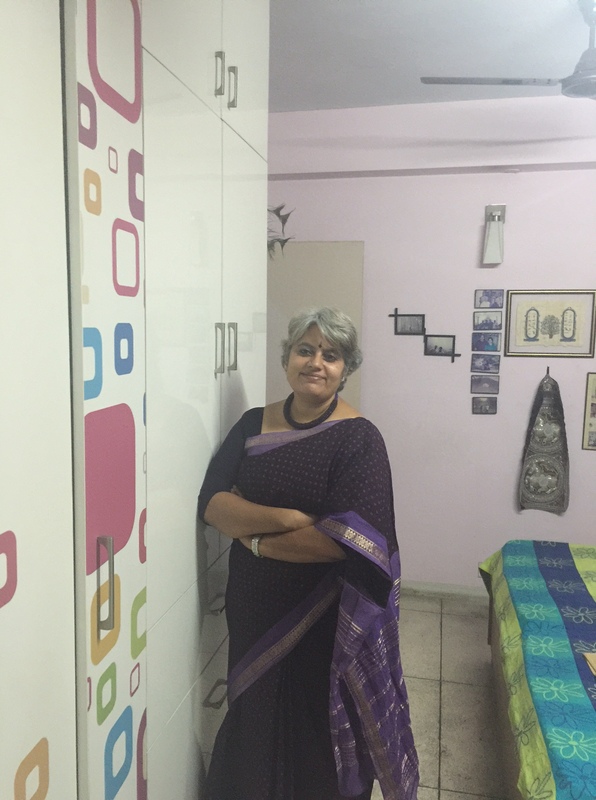 Thanks to Cooptex and Venkatesh Narasimhan who are doing a great job of making sure we understand handlooms and I am certainly a convert. 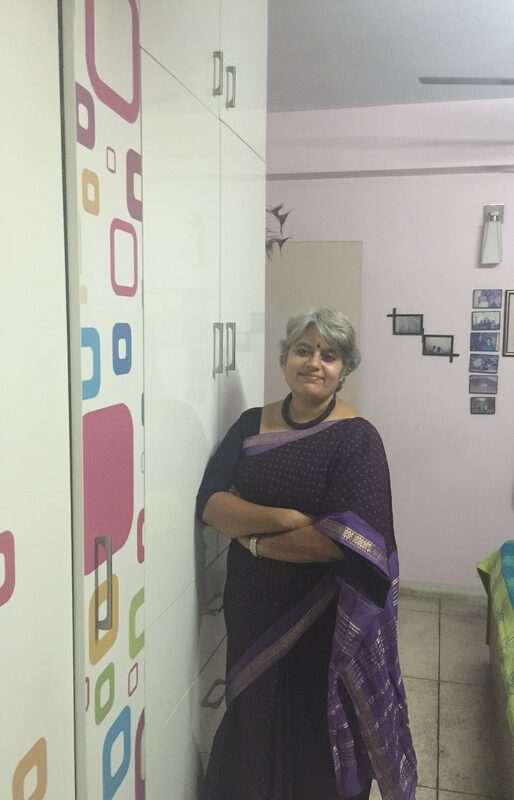 This was a couple of weeks back and I wore it to Venki and Meenu’s place. The neckpiece is from Desh Maheshwari. 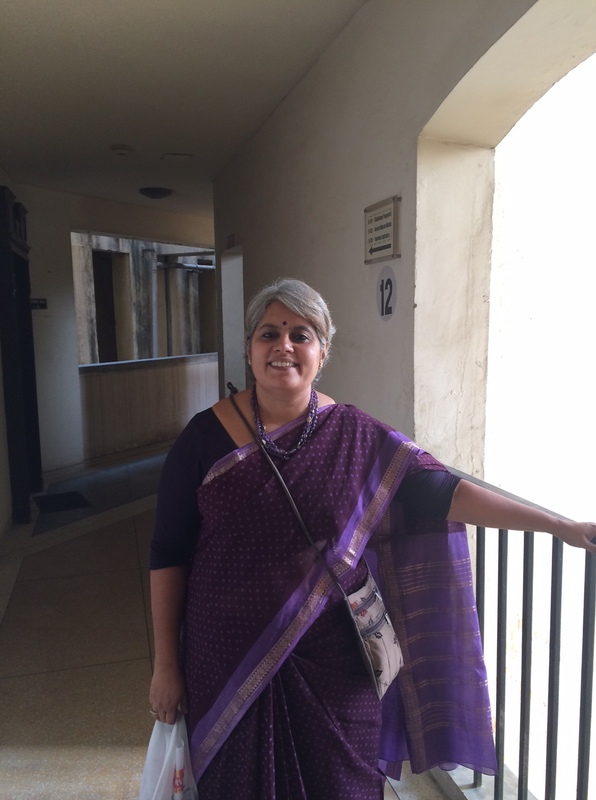 This is in March when I wore the sari for the first time. The neckpiece is made of plastic beads from Janpath, Delhi. Management lessons from a sewing machine !